Lester was born in Atlanta, Georgia in 1955. 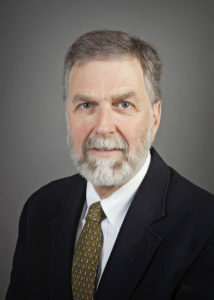 He earned a Bachelor of Arts in economics from Emory University in 1977, and a Master of Business Administration from Georgia State University in 1979. Lester attended Emory University School of Law, where he earned his law degree in 1982. He has been practicing in Moultrie since 1982. Lester practices in the areas of commercial transactions, property, business formation, planning and operation, commercial litigation, local government and estate planning. 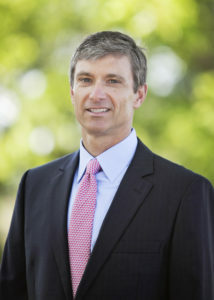 Lester worked primarily in civil and criminal litigation the first 15 years of his practice, and continues to represent clients in state and federal courts throughout Georgia, primarily in commercial and contract litigation. He is County Attorney for Colquitt County, Georgia and advises and represents the Board of Commissioners and Colquitt County employees on a regular basis. Having many agricultural and agribusiness clients, he is experienced with all aspects of agricultural law. Lester has extensive experience in closing commercial, agricultural and residential transactions. Lester and his wife Angela are deeply involved in the Moultrie community. Angela Castellow serves on the City of Moultrie Council and is the Executive Director of United Way of Colquitt County. Lester has donated many hours of pro bono work to several local causes. Outside of the office, Lester is an avid gardener, fisherman, cyclist and runner. Lester has completed a number of marathons, triathlons and century distance cycling events. Lester’s children, Morgan and Avery, are both students at The University of Georgia. Georgia focusing on civil litigation. Today Michael specializes a large portion of his civil litigation practice on creditor’s rights, and as state-wide counsel for the world’s largest provider of agricultural inputs and services, Michael practices in state, federal and bankruptcy courts all over Georgia. He represents several agricultural suppliers, a NASDAQ traded bank, and has served as counsel for a Fortune 20 corporation. He has the highest possible AV rating from Martindale-Hubbell® Peer Review Ratings™. Locally, Michael is active in his church, having served three terms as a Deacon, and is currently an Elder at the First Presbyterian Church of Moultrie. He serves on the Board of Directors of the Moultrie/ Colquitt County Sports Hall of Fame, and has served on the Board of Directors of the Moultrie YMCA and Colquitt County Arts Center. Michael and his wife are also graduates of Leadership Georgia. In his spare time, Michael enjoys endurance sports. He is a New York Marathon qualifier, a Boston Marathon qualifier, an Ironman triathlete and was named an Ironman All World Athlete by World Triathlon Corporation and has qualified for the USA Triathlon National Championships. Michael is married to his law school sweetheart Elizabeth, who is also a lawyer. They have two children, Sara and Andrew.